An assortment of leaks were released upon the internet recently that included the next iteration of two major Google products: the Pixel 2 smartphone and the follow-up to the 2015 Chromebook Pixel. We’ll no doubt hear more about these products at Google’s Oct. 4 Pixel 2 launch event, but I want to take a minute to talk about that new Pixelbook, which got an assortment of details leaked about it recently. 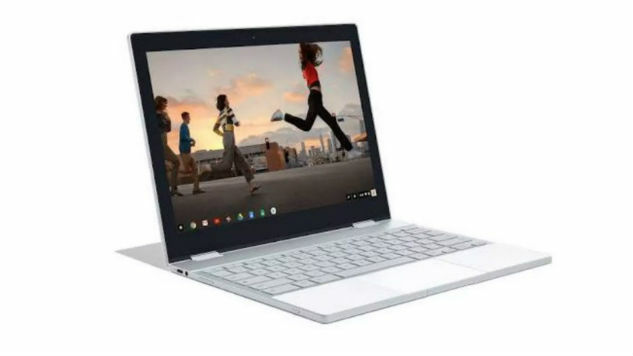 The leaks say that the new Pixelbook is a Chromebook laptop, rebranded from two previous generations of Chromebook Pixels. The device features a brand new design, a new stylus called the “Pixelbook Pen” and a hefty $1,199 pricetag. We don’t know much more about the Pixelbook outside of that, but the pricetag and name alone have given me pause as to what this product is all about. If you didn’t know much about the computer outside of the look, that price might not surprise you. After all, that’s pretty close to the average cost to competitors like a mid-tier Ultrabook or entry-level MacBook. In particular, the new $999 Surface Laptop that came out earlier this year seems like a good comparison in terms of premium design. From the one photo we have, the Pixelbook looks beautiful with its chunky keys and seemingly large touch pad (though I hesitate to give my opinion on those fat bezels). However, the Pixelbook isn’t like these other laptops on the market—it’s a Chromebook that runs ChromeOS. If it’s like every other Chromebook out there, it’s got severe limitations on what it can do as a laptop. For the most part, you’re limited in what you can do to the Chrome browser. It’s tailor-made for simpler activities such as web browsing, email, social media, video watching and word processing. Google has opened up the possibilities by bringing the Google Play Store and Android apps to ChromeOS, but it still doesn’t have the open-ended feel of using a Windows 10 or Mac machine. But this isn’t Google’s first rodeo in hardware. It started with the Nexus line of smartphones and tablets, which were made in partnership with companies like LG and HTC. These products weren’t necessarily flashy or premium devices—they were made for developers to test out the newest versions of Android and to guarantee that stock Android was being used. More importantly, they weren’t created from the ground-up by designers and engineers at Google. But in 2013, Google did what it said it wasn’t interested in doing: it made it’s own device. Google’s first attempt at homemade hardware was the original Chromebook Pixel back in early 2013. In the past, the company has focused primarily on its software endeavors, supporting Android on the mobile front and ChromeOS on the computing front. Instead of working with HP or Acer to create a cheap, simple “Nexus” Chromebook, the Chromebook Pixel is a high-end, expensive, flashy, design-first laptop that took itself seriously as a laptop. Ironically, the laptop was very hard to recommend because of its $1,299 pricetag. Even in 2013, there were great Chromebooks that were every bit as capable—and increasingly premium in terms of materials and design—for less than half the price. The product got an update in 2015 with greatly increased battery life and also a slightly lowered price, but that did little to change the overall picture for the Chromebook Pixel. Later on that year, Google also released the Pixel-C, a 2-in-1 Android tablet that was also criticized for its software limitations and high price. It wasn’t long before Google stopped selling the Chromebook Pixel and shifted its attention to the Pixel smartphones in late 2016. The Pixel smartphone was, for the first time, a product that put the marketplace on notice. Here was a device made from the ground-up by Google that was actually made to sell with competitive features and specs—at a price that made sense. For the first time, Google got serious about making hardware that people actually wanted to buy. Coming off the success of the Pixel, I was excited to see where Google would go next with its hardware projects. For a while now, Google has been a dominant player in software and services, and now it was going to put that software in hardware as good. It felt less like a side project for the company and more of a real business. But the $1,199 Pixelbook that we will learn more about soon, doesn’t seem to fit in with the success of this new hardware strategy I hoped Google was putting in place. The Pixel smartphone was priced similar to the most expensive smartphones out there at the time, such as the iPhone 7 Plus and the Galaxy S7. The difference here is that the Pixel smartphone is every bit as premium and capable as those smartphones. It has world-class software, a great camera, and high-end specs. Chromebooks, on the other hand, just aren’t competitive with laptops like the MacBook Pro or the Surface Laptop. In fact, you can get a fantastic laptop like the entry-level configuration of the Dell XPS 13 for just $799. A Chromebook, no matter how beautiful, just can’t compete with that. It’s not really even in the same category of computer. Adding stylus support (which isn’t even packaged-in), isn’t going to change that. For that reason, the Pixelbook seems like proof that Google still isn’t taking the hardware business seriously. Obviously I’m making that pre-judgement having not used the product or heard the official announcement yet, but that’s the analysis I can make from what we’ve seen so far. I’ll still be headed into the launch of the Pixelbook hoping that Google has a secret ace up its sleeve. Perhaps the reason for the change in name is that Google will be giving us a significant update to Chrome in the form of an interface that’s been referred to as Andromeda. Google has been hinting toward a future where ChromeOS and Android are a bit more unified and seamless—and debuting that new OS in the Pixelbook might be the perfect way to introduce it to the world. After all, Chromebooks still have a certain stigma to them that a product like the Pixelbook could really help dissipate. Judging from the screen shown in the leaked photo, however, we’re just going to be getting another fancy, overpriced Chromebook. The laptop game could really use a serious third player, but until Google produces something that is priced competitively, most people will stick with Windows and Mac.